Saint Agnes formed in Silvertown, London in 2014. With a fiercely independent DIY work ethic they quickly developed a devoted following in London and the south. Soon they released their first single, ‘Old Bone Rattle’ on Energy Snake Records which saw play on Kerrang, KEXP and BBC Radio 6. Subsequent singles ‘A Beautiful Day For Murder’ and ‘Merry Mother of God Go Round’ have built their reputation and been a vehicle for their visceral live shows which have seen them rise from the underground to claim their place as one of London’s most compelling and authentic bands. Saint Agnes create dark, blues rock n roll entwined with cinematic murder ballads; music fit for a Tarantino Western. The high drama of the music is punctuated by the intense chemistry between the lead vocalists Kitty A. Austen and Jon-James Tufnell. Saint Agnes are a deadly entity live; they draw their audience in with songs of love and betrayal and electrify with their fuzzed out, hook-laden, desert stomp. 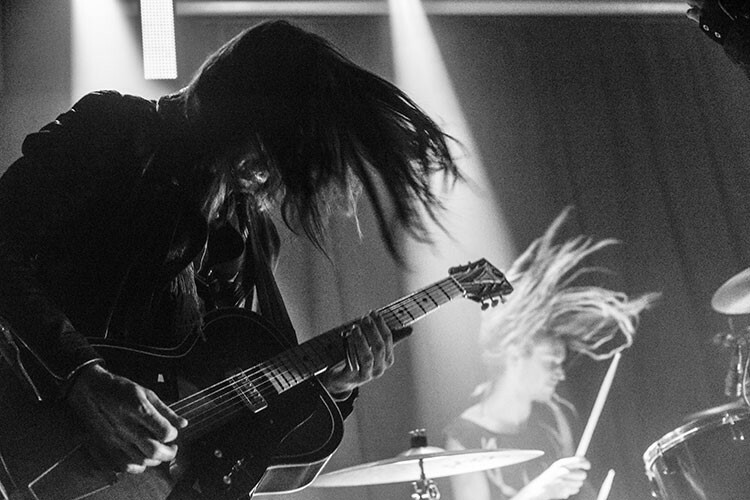 Jon-James’ guitar style is best described as that of a Black Sabbath obsessive playing Ennio Morricone influenced solos with the violent blues attack of Jack White. Switching between a semi hollow and an electro acoustic for slide the tones are fuzzy and bold. 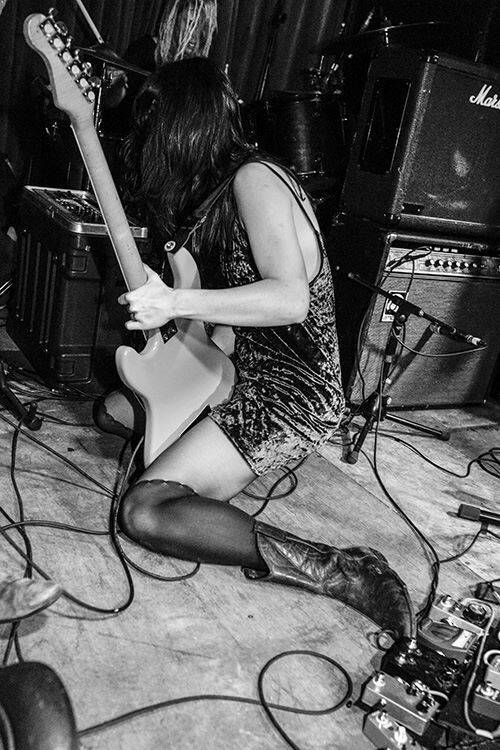 Kitty A. Austen moves from vibe heavy Link Wray sounds to intense tremolo picked lead lines and detuned riffing all whilst singing and keeping one eye on her keyboard, which she sometimes jumps to, playing at times with fury and other times with a restrained, delicate touch. This caught the ear of Radio X’s John Kennedy who invited them into the studio to record a live session and play one of his showcase nights. Increasingly prominent shows followed with headlines at Hoxton Bar & Grill, Hackney Oslo and Islington O2 alongside festival appearances at Cosmosis, Secret Garden Party and Southsea Fest. Then in 2017 the band toured Europe, playing in the towns where they’d received requests from fans. 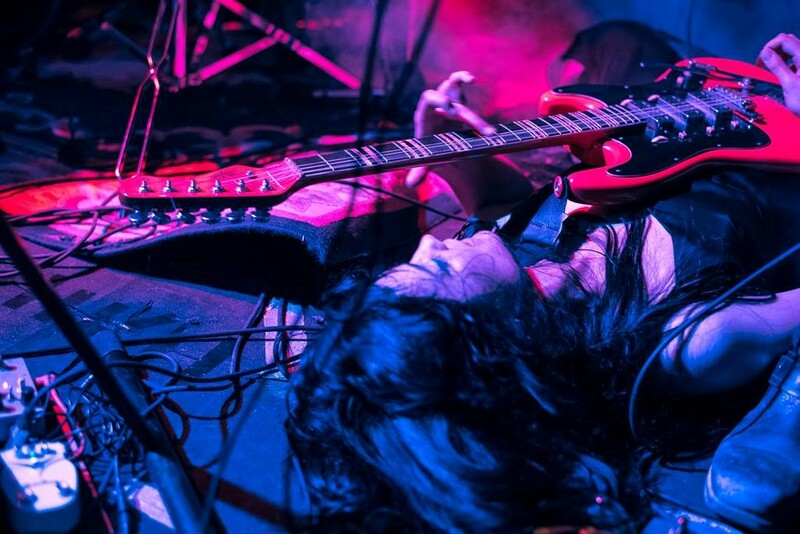 From headlining festivals dates in Italy to playing on a converted boat in Nancy, France Saint Agnes proved there is a hunger for rock music that looks forward, not back. They returned to find Primary Talent booking agency waiting to take them onto their roster alongside such bands as Wolf Alice, Tigercub and Ho99o9. A heavy UK and Europe touring schedule is in place for 2018 with new releases planned for later in the year. Jon and Kitty use our Roto Yellows (R10 10-52).